Happy New Year's Eve everybody! This is the first of three special New Year's themed posts that I will be posting today. This first one is on my New Year's manicure. 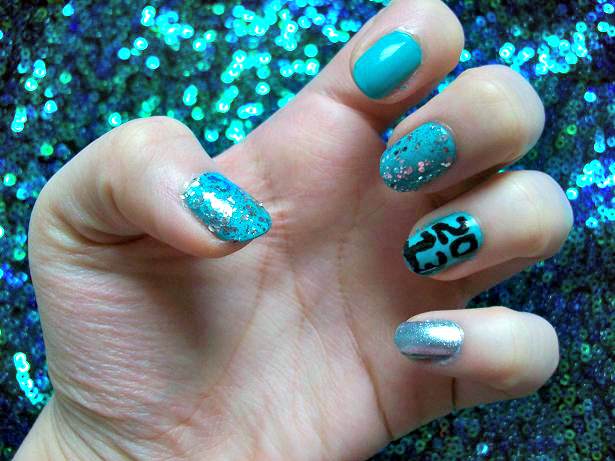 I will be wearing these sliver and blue nails all night long until the clock strikes midnight! 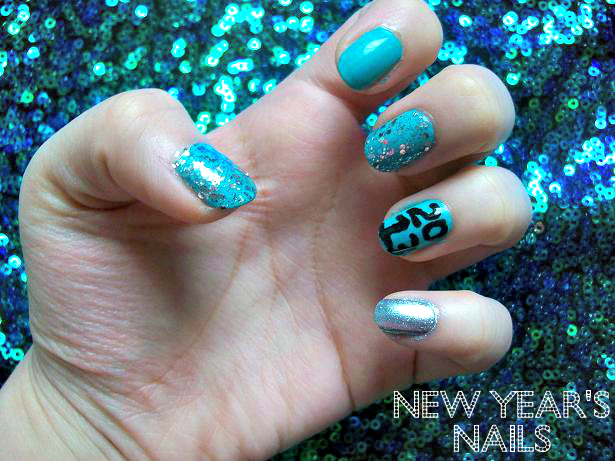 I used a turquoise blue as the base for four nails and on the pinkie I used a sliver nail polish (Zoya's Trixie). 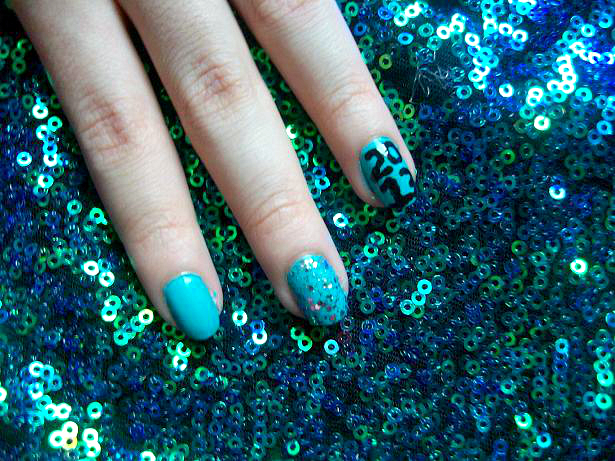 Then I used Essie's Set in Stones to give a glittery top coat on my middle finger and thumb. Lastly I used a black nail polish and wrote out 2013 on my ring finger. To finish, I used Sally Hansen's Insta-dri top coat to seal my design and give my nails a glossy shine.